This recipe makes you think differently about using the KNORR Jus in recipes. The richness of the Jus with the addition of Asian ingredients makes a perfect master stock. Lightly fry the blue eye, pan sear both sides until golden on both sides and finish cooking in a pre-heated oven (180 degree Celsius) until med, remove and allow to sit for 10 minutes to finalise cooking. To make the broth add the sliced shitake mushrooms into the pan and cook until golden. Add the chopped ginger, garlic, star anise, water, soy and KNORR Jus, bring to the boil while stirring continuously, reduce heat and allow to simmer for 10 minutes to allow the ingredients to infuse. Wash and slice the bok choy and place into a pot of boiling water for 5 minutes until tender but still crunchy. 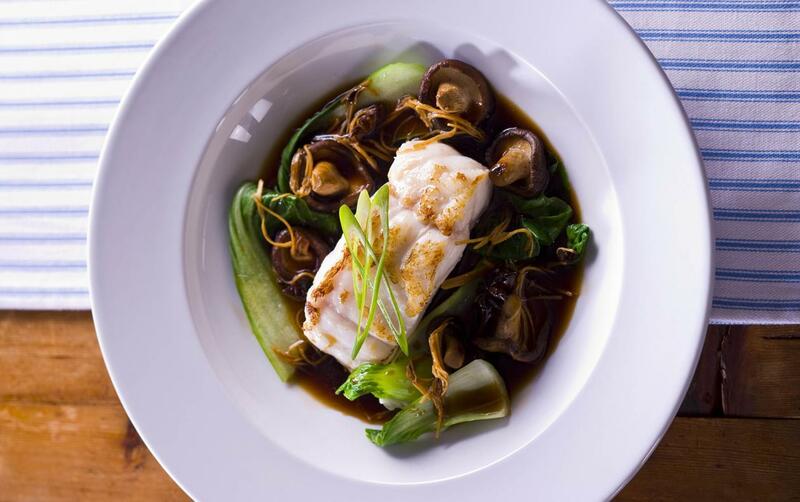 To serve, place the bok choy and broth into a large bowl and add the fish, garnish with the sliced shallots.